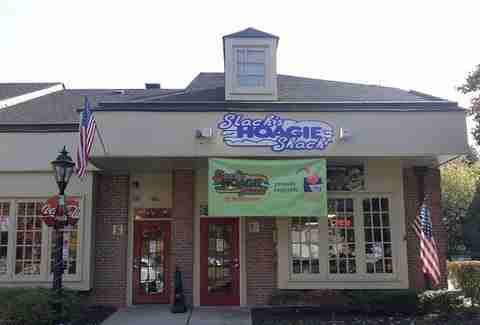 The 'burbs have good cheesesteaks too, as evidenced by this sorta misnamed shop, where the chicken cheesesteak is way more popular than the actual pizza, and they've got enough history to give any Downtown one-syllable hoagie shop a run for its money. 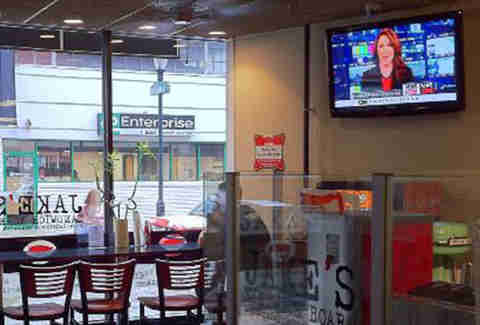 Despite several franchises in key locations around Philly and DelCo, Slack’s is often omitted from top 10 lists, and it’s hard to know why considering they offer discounted specials throughout the week, as well as dozens of delicious hoagies, sandwiches, and deli options. Another DelCo spot that also boasts good pizza and wings, the massive Thunderbird Special has been a local favorite since the shop opened in 1956. They're are best enjoyed with a milkshake on the side, or if you’re not feeling quite so fat, try the deli specials made on rye bread. 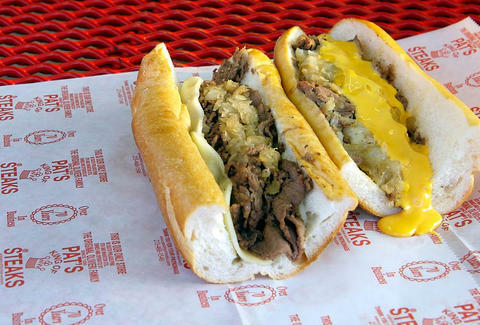 Whether you opt for the indoor counter or the to-go window, this authentic Philly favorite is home to some of the most cherished local sandwiches. 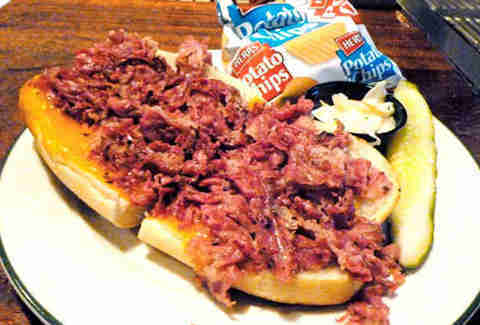 They're served on moist, soft bread, but despite that they get relatively little public acclaim. Until NOW!! 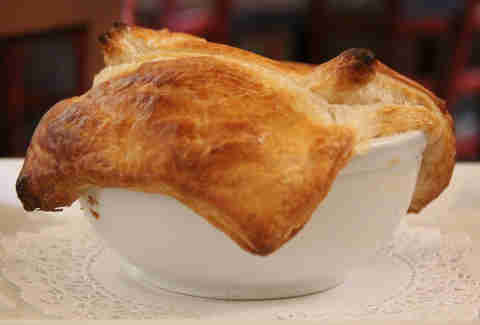 So this off-menu item isn't technically a cheesesteak, but even French-Canadians love our signature sandwich, so try yours with a taste of Québécois in pot pie form. The pie’s flaky pastry canopy guarantees forkfuls of pan-grilled ribeye, caramelized onions, and mushrooms, all swimming in a house-made cheddar-prov-Asiago whiz. 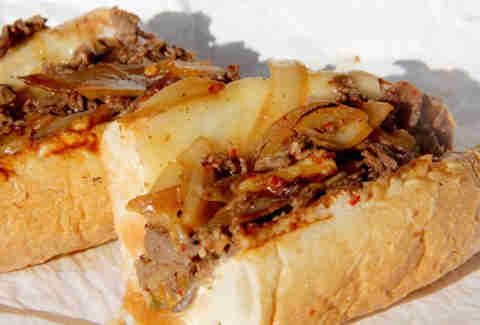 For a cheesesteak on the go, your underrated food truck of choice is KAMI -- a Korean lunch cart that does cheesesteaks with your choice of spicy chicken, pork, or bulgogi beef topped with melted cream cheese and/or provolone, then finished with homemade kimchi and a secret-recipe hot sauce. 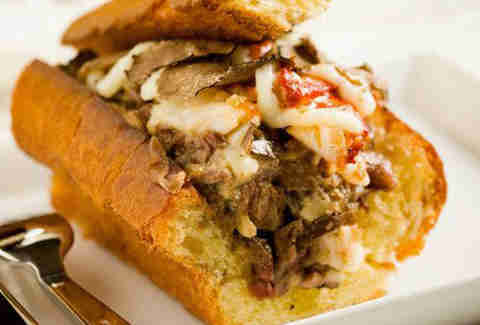 Somehow Philly’s patron saint of eats, Stephen Starr, and his cheesesteak at Barclay Prime have slipped from the radar. The ‘steak is served on a freshly baked sesame roll that's stuffed with foie gras & Wagyu ribeye and spooned with truffle whiz (yes, it’s a thing). And you thought the neon lights at Geno’s were fancy. 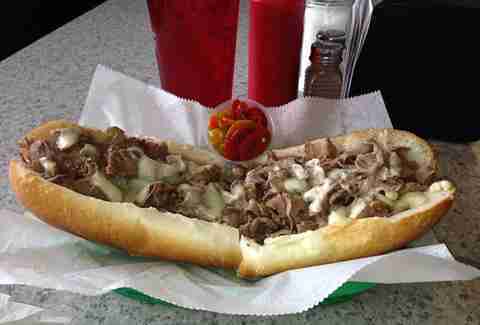 It's best known for overstuffed monthly specials involving PB&J milkshakes, but instead you should take on the Jake’s Five Pound Philly Challenge. Shell out $35 and you shall receive a 2ft, three pound sandwich, which also includes four soft pretzels, a box of Tastykakes, 24 mini Peanut Chews, and one cherry soda, just in case you forgot what city you were in. It’s all yours if you finish in less than 45 minutes. 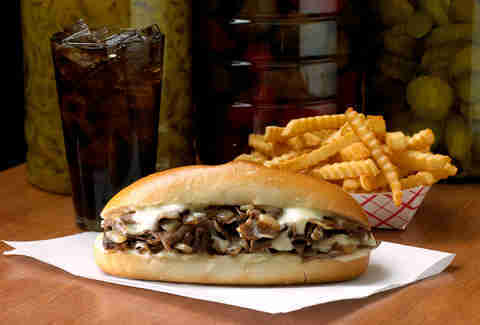 What's better than a regular old(e) cheesesteak? 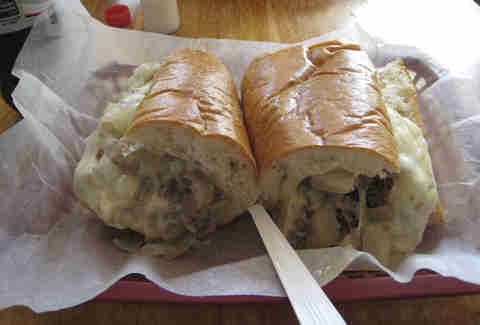 An off-menu corned beef cheesesteak, which replaces the usual chipped ribeye with salt-cured Reuben-filler bundled with melted cheddar inside a hoagie roll. 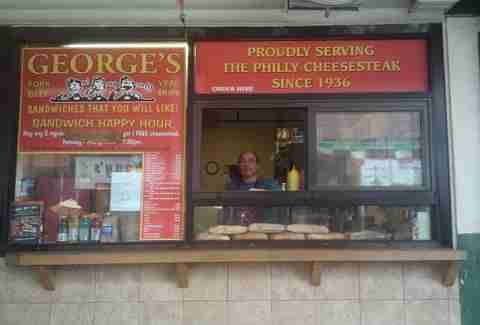 If Joe’s Steaks has slipped from your awesome cheesesteak consciousness, it can only be because of it's relatively recent name change. But do not fear, the revamped and significantly less offensively named sandwich shop still offers the same hand-sliced ribeye and onions (plus fizzing egg creams and floats with house-made sodas) that it did when the place was called Chink's.